CMR Law School has been ranked among the top law colleges in India by “India Today”, “The Week”, “Outlook” and other leading national magazines consecutively from the past eight years. Ranked 4th best Law School in South India by India Today Magazine – June, 2018. 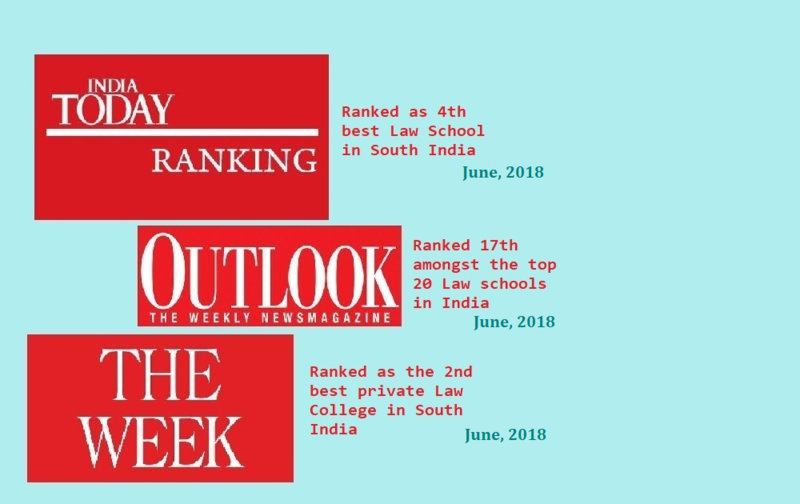 Ranked 2nd best private law college in South India by The Week Magazine – June, 2018. Ranked 17th among the top twenty Law Schools in India by Outlook Magazine – June, 2018.